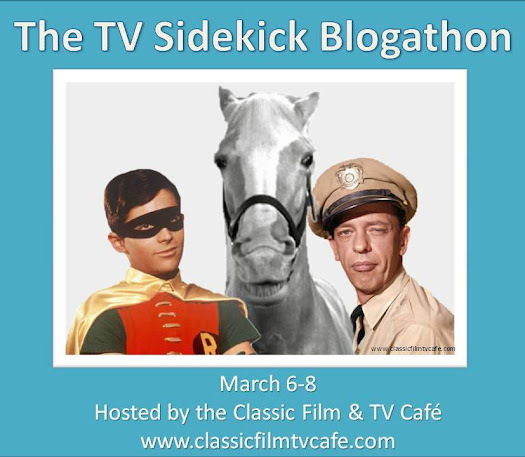 Secret Sanctum of Captain Video: KATO: The Man Who Put the "Kick" into SideKick! ...few ever refer to it without saying "The Green Hornet and Kato"! 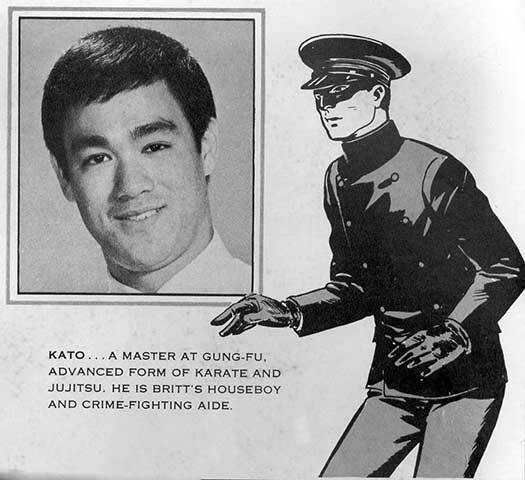 ...the impression made by martial arts legend Bruce Lee in the role that introduced him to American audiences, Kato! 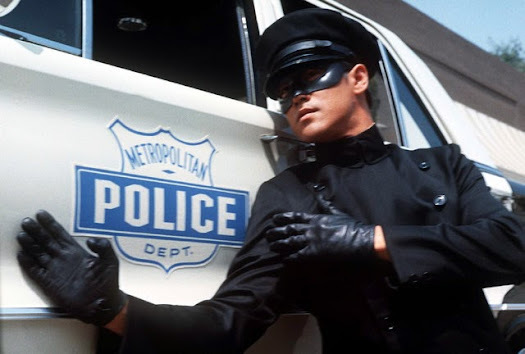 As his "crime-fighting aide", Kato handles the Black Beauty (with an arsenal of high-tech weapons) and protects the Green Hornet from any danger with almost superhuman reflexes and mastery of the then little-known martial art "gung fu", now called "kung fu". He's the Hornet's soft-spoken "enforcer", and it's apparent that most criminals are even more afraid of him than his boss. At home, he's Reid's "houseboy", a combination of butler, cook, valet, chauffeur, and handyman. Interestingly, they're close friends who trust each other with their lives in costume, but maintain the social distance that employer and employee would have when in their civilian roles. The TV series begins "mid-stream", with the Hornet and Kato already operating as pseudo-criminals in their unnamed home city. There's never an explanation as to why Kato and Reid fight crime, how Reid got his employee to join in his crusade against evil, or even if Kato gets overtime or hazard pay for his masked work. He doesn't have a code-name like "Wasp" or "Mosquito". Criminals and police refer to him as "the Hornet's man", "the chauffeur", or "the Hornet's companion". But Kato brings an amazing level of both enthusiasm and caution into backing up the Hornet. Whenever entering a room, he tends to go first, clearing the way for the Hornet. Leaving a room, he keeps himself between anyone else and the Hornet, never turning his back on the others until both he and his boss are out the door. He'll do anything, including facing a Sherman tank armed only with a tear-gas grenade or taking on an entire army of martial-arts assassins! But nowhere in the series is Kato spotlighted as in the episode "The Preying Mantis", involving a Chinese criminal group called a "Tong", despite having very little dialogue. Watch how Kato,without saying a word, dominates the scenes he's in with Low Sing, the head of the Tong who's working with gangster Duke Slate, using body language and facial expression to interact with Low Sing while the Hornet and Slate discuss terms for a ransom, and later, during the showdown where Low Sing and Kato battle one-on-one. Be here tomorrow as we go into Bruce Lee, the man who was Kato! The reason I watched THE GREEN HORNET was to see Kato. It was way cool as a kid to watch martial arts on a TV show! In retrospect, one of the challenges with THE GREEN HORNET TV series is that Bruce Lee upstaged Van Williams--not on purpose, of course, but he had more charisma. Still, I was surprised when Bruce's Hong Kong films started to appear in U.S. theatres. But, as soon as I saw THE CHINESE CONNECTION, I was hooked and have been a huge Bruce Lee fan ever since. 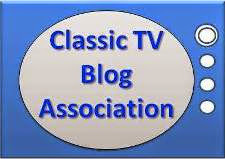 Great post and can't wait to read specifically about Bruce Lee. Hard to believe how amazing it is in retrospect to consider that a unique talent such as his got a chance to shine on series TV. Rick29 is correct -- charisma! Kato and Black Beauty. I'm inspired to go back and re-watch the series. Thanks for writing this!